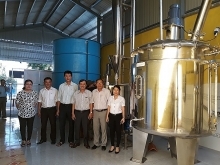 (VEN) - Hanoi will be developing support industries and key industrial products to transform its industrial structure in order to increase the proportion of the processing industry and decrease the proportion of outsourcing. 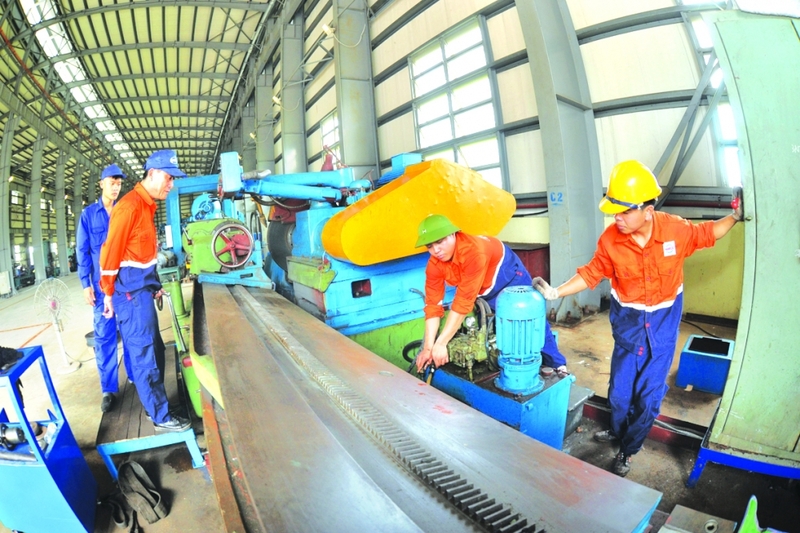 According to the Hanoi People’s Committee, the city’s index of industrial production (IIP) in the first quarter of 2018 is 8.5 percent higher than in the same time last year. The mining industry grew 8.5 percent, the processing and manufacturing industry increased 8.6 percent, and electricity and gas production and distribution rose 7.6 percent. Water supply and garbage and wastewater collection and treatment grew 7.9 percent. The city’s industrial sector reached a value added of more than VND24.32 trillion and a production value of almost VND117.34 trillion, up 7.12 and 9 percent from the first quarter of 2017, respectively. The processing and manufacturing industry ranks first among primary industries in terms of growth, while three of the 29 secondary industries experienced negative growth. Motor vehicle production was down 1.9 percent, electrical equipment production - down 0.8 percent, and leather and related product production - down 0.2 percent. Speaking at a March 30 government-sponsored conference on promoting production and growth in 2018, Hanoi People’s Committee Deputy Chairman Nguyen Doan Toan said the capital had reached relatively high socioeconomic achievements in the first quarter of 2018. These include a 6.98 percent gross domestic product (GDP) growth - the highest in the past seven years. Hanoi climbed to the 13th place among 63 provinces in the 2017 provincial competitiveness index (PCI), one place higher than 2016 and the highest rank reached so far. Hanoi has set a 7.3-7.8 percent growth target for 2018. To achieve this goal, the city will focus on developing support industries and key industrial products to transform its industrial structure. The goal is to increase the proportion of the processing industry and reduce the proportion of outsourcing, create nationally recognized products and engage more deeply in large value chains. 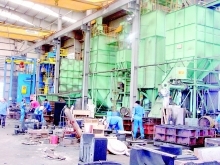 The city will be accelerating establishment of industrial zones for small to medium-sized enterprises, and encourage investment in these zones. In addition, Hanoi will implement its export promotion plans for traditional and potential markets, assist enterprises to improve their competitiveness, promote investment in logistics infrastructure, trade centers, supermarkets and wholesale markets. 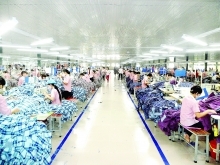 It will also strengthen development of the Buy Vietnamese Goods campaign, continue supply-demand connection activities, develop the tourism industry into a spearhead economic sector in association with preserving and promoting the cultural values of traditional craft villages, and develop high quality tourist offerings. Hanoi has set an industrial value added growth target of 7.7- 8.1 percent and a 7.8- 8.2 percent IIP growth target for 2018.